I’m a sucker for pies, crisps and cobblers. There’s something about eating a hot gooey crisp with a cold scoop of vanilla frozen yogurt cream that really does it for me!! Xagave was kind enough to send me some agave nectar, a natural low calorie sweetener along with a cookbook which features many great recipes and a chart on how to convert your existing recipes. It saves 30%-50% of calories over sugar and honey, it’s certified organic, and is low glycemic. 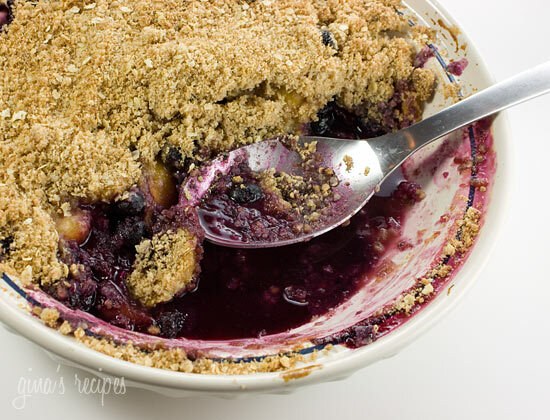 I used it in this fruit crisp to replace most of the sugar and it was sweet and delicious. I can’t wait to experiment with it some more! 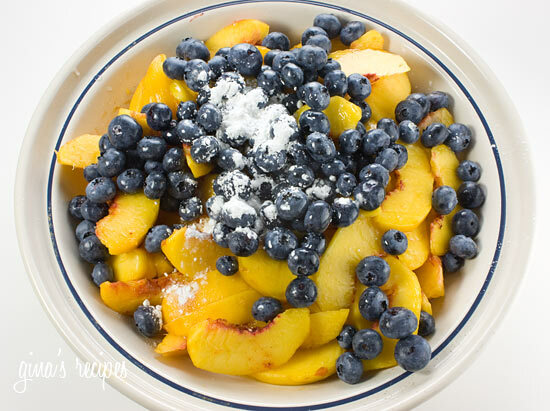 Combine peaches, blackberries, agave nectar, lemon juice and zest in large bowl. Toss until fruit is coated. 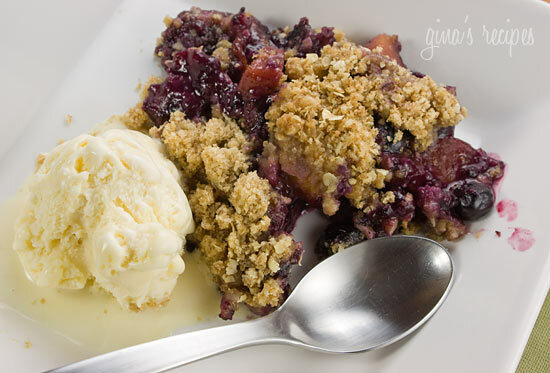 Place fruit in an ungreased pie dish. Bake about 40 minutes or until topping is golden brown and fruit is tender. Serve with a scoop of low fat ice cream or fat free frozen yogurt.